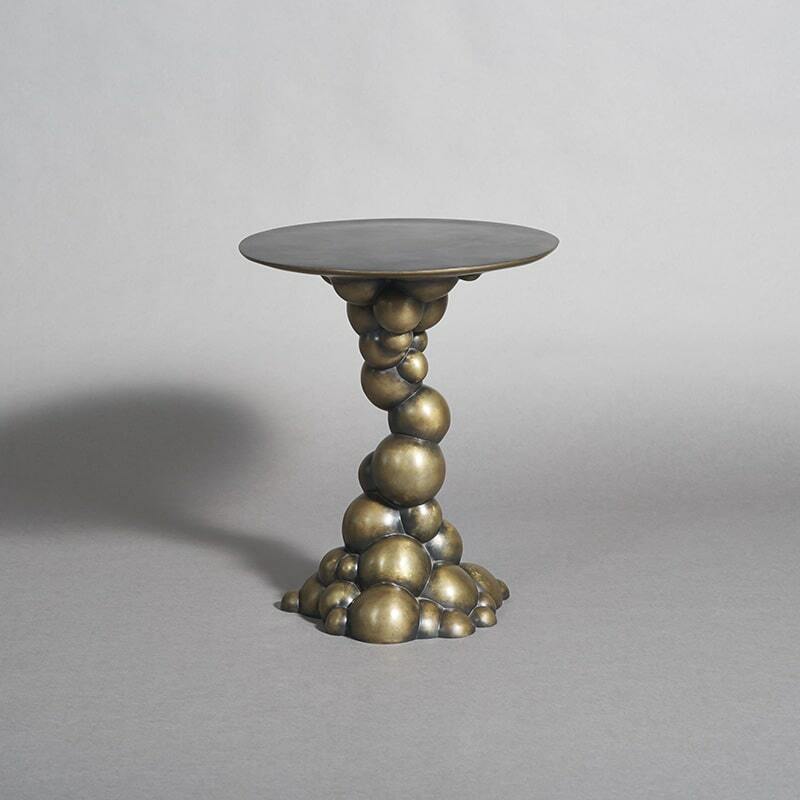 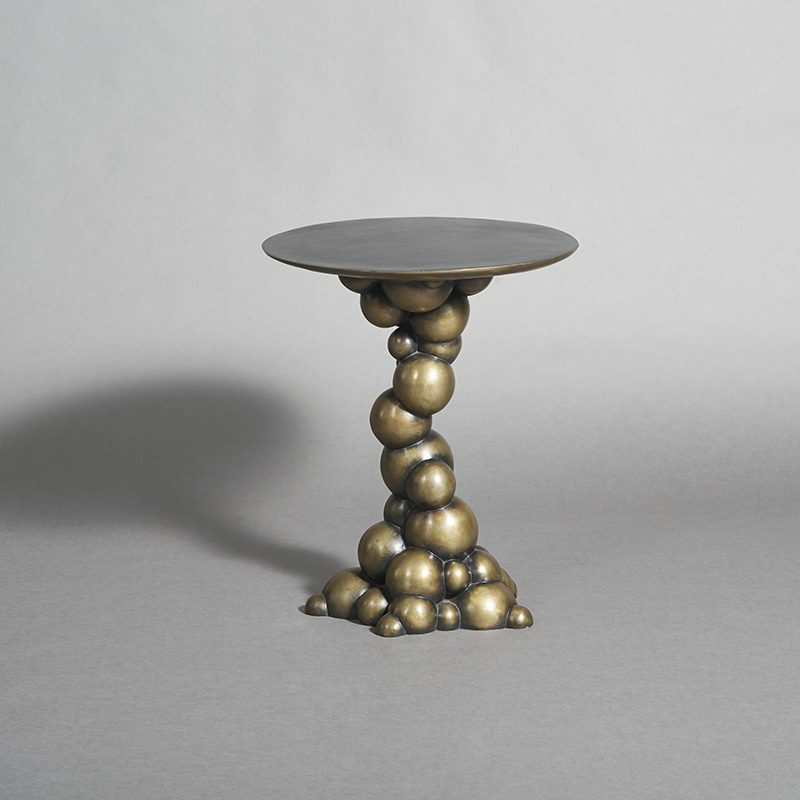 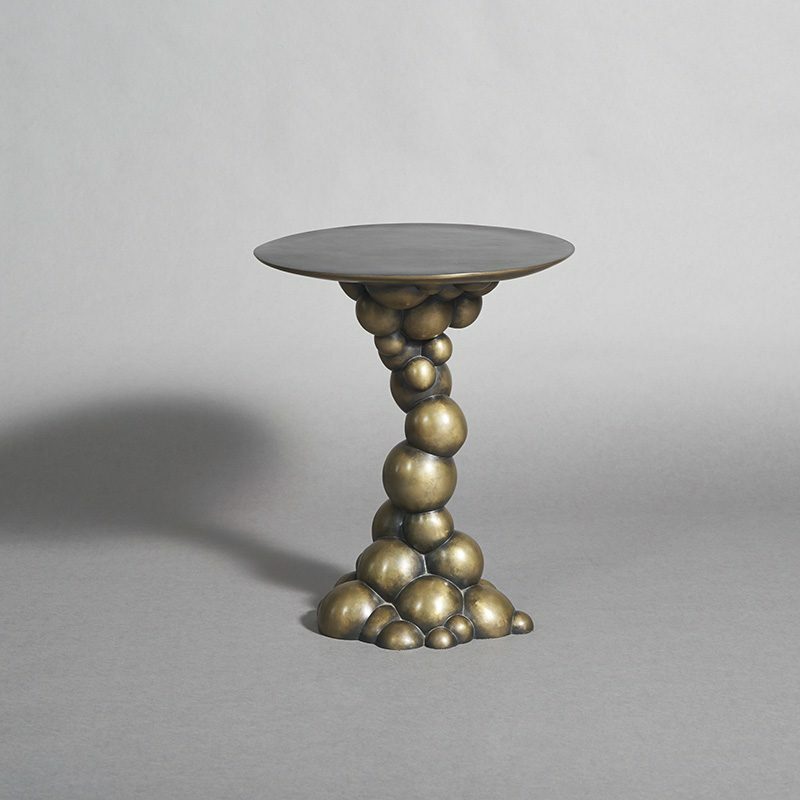 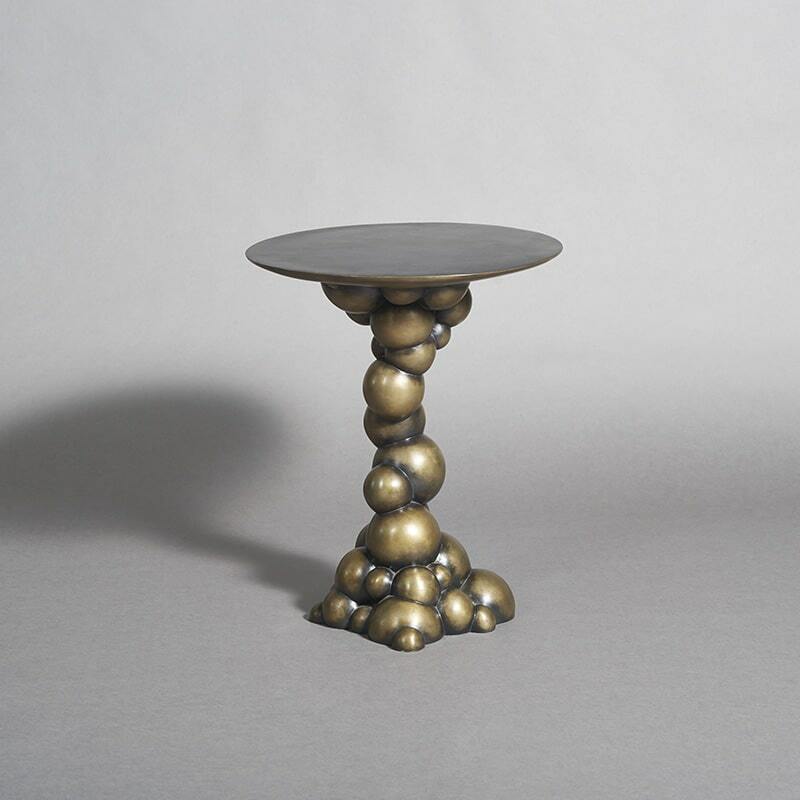 Inspired by the natural beauty of geodes and pyrite, Erin Sullivan’s Bubble Side Table is composed of a vortex of cascading blackened bronze bubbles beneath a flat, blackened bronze top. 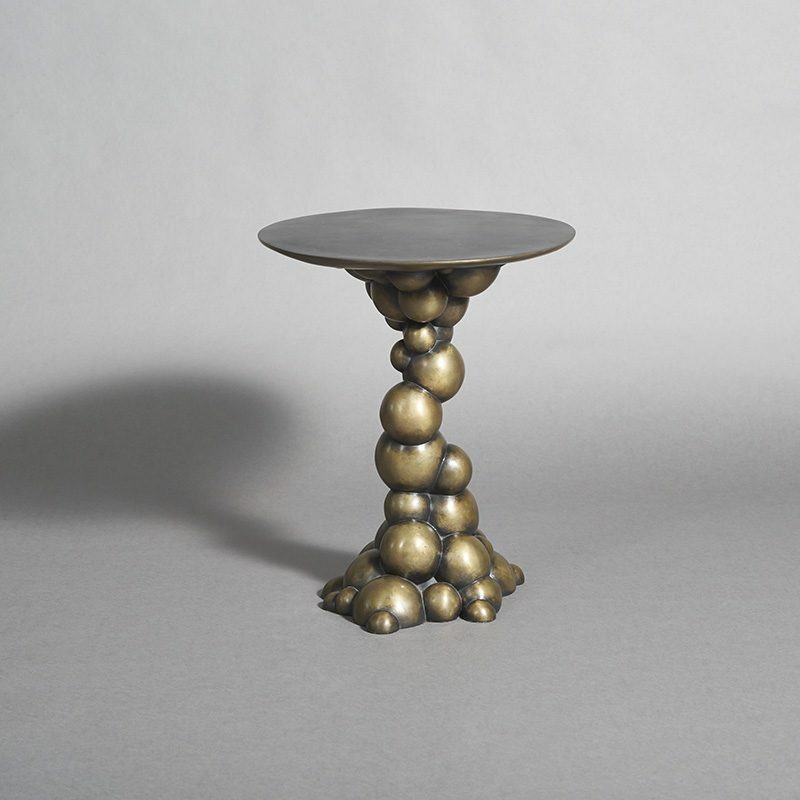 At once a sculptural work of art and a functional object, the work is the perfect marriage of form and function. 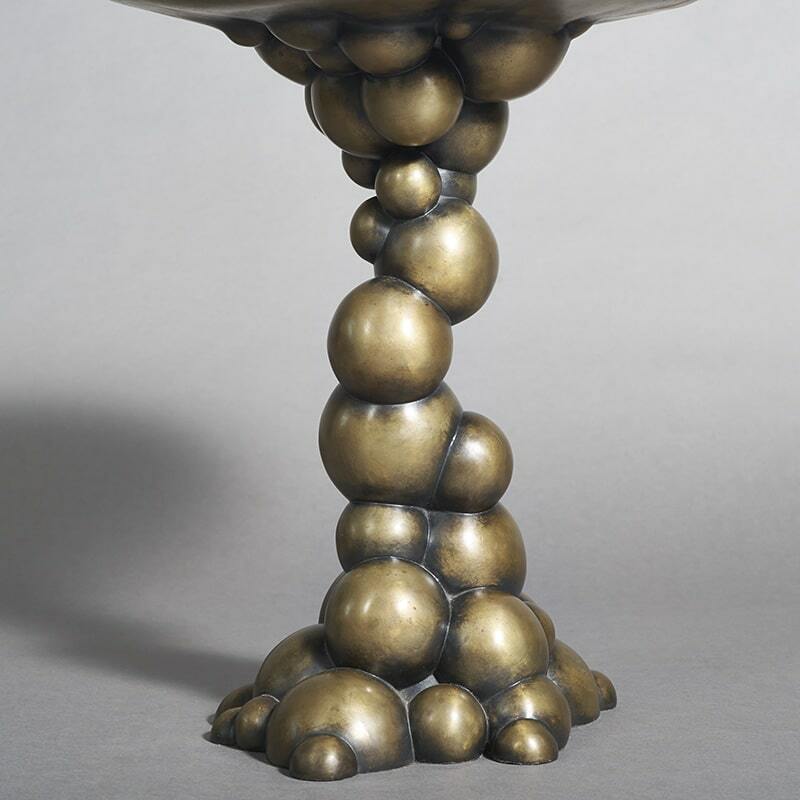 New York based contemporary sculptor Erin Sullivan employs the labor-intensive lost-wax process to create exquisite, realistic bronze interpretations of her organic subject matter. 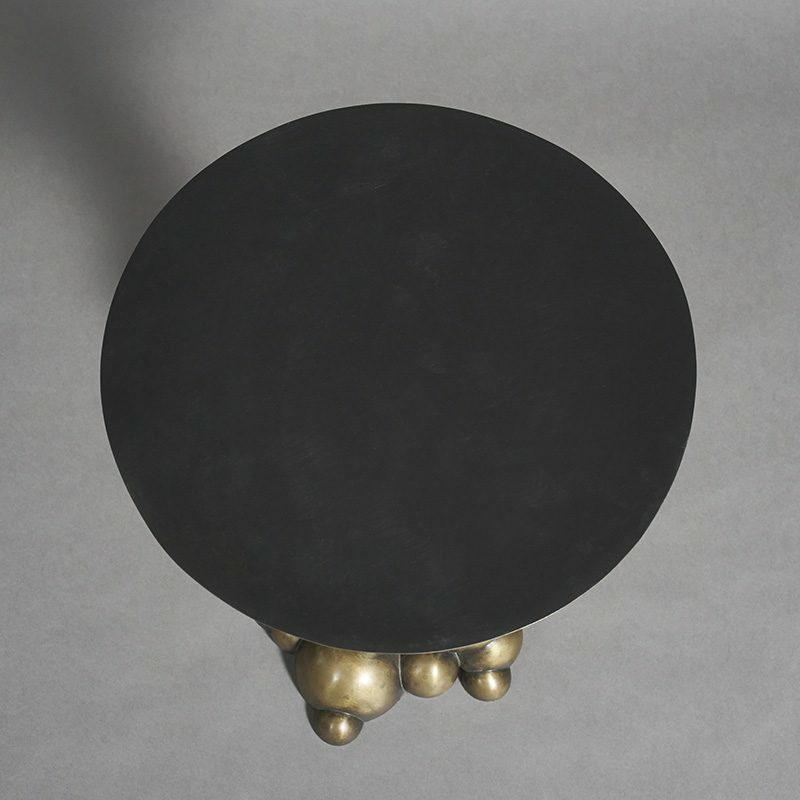 As Sullivan works on a commission basis, custom dimensionality and finishes may be accommodated.